Canine liver shunt is a condition in which there is abnormal blood flow between the liver and the body. This condition can be congenital or acquired. Certain breeds of dogs are predisposed to this liver problem. Read on and find out more about the symptoms, causes, and treatment of liver shunt in dogs. Liver shunt, or portosystemic shunting (PSS), is one of several liver problems that affect dogs. Specifically, in this condition, blood from the intestines flows around the liver, bypassing it. The result? Toxins in the blood such as ammonia cannot get to the liver for breakdown and removal from the blood. This leads to toxin buildup in the blood. 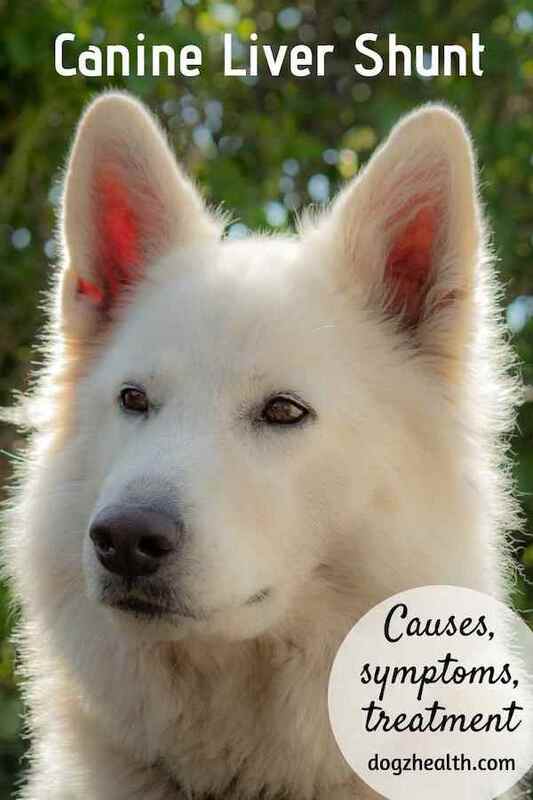 Liver shunt in dogs can be a defect at birth (congenital), or it can be acquired. For example, acquired liver shunt can be the result of some form of liver disease such as scarring of the liver (cirrhosis). Most cases of liver shunts in dogs are congenital. In canine liver shunt, blood flows around the liver, bypassing it. When a dog fetus is in its mother’s womb, its liver is not developed and therefore not functioning. The fetus depends totally on its mother’s liver to do everything, including, among other things, the filtering out of toxins. Blood is carried through the fetal liver to the heart by a large shunt (a fetal vein called “ductus venosus”). Shortly before or after birth, the large shunt closes down and the puppy’s liver begins to function independently. When the shunt in a puppy fails to close down, the puppy has an “intrahepatic shunt” (a shunt inside the liver). In some other cases, a blood vessel outside of the puppy’s liver fails to develop normally and remains open after the fetal vein closes. When that happens, the puppy has an “extrahepatic shunt” (a shunt outside the liver). Large breed dogs, such as Irish Wolfhounds, Labrador Retrievers, Australian Shepherds, and others, are at higher risks of developing shunts inside the liver (intrahepatic shunts). In general, female dogs are more susceptible to shunts than males. Most puppies with congenital liver shunts start showing signs by six months of age. But some dogs may not develop any symptoms until middle age or even older. Dogs with liver shunts develop symptoms of hepatic encephalopathy. It is a type of brain dysfunction caused by high levels of ammonia and other toxins in the blood. In advanced cases, the dog may have seizures and fall into a coma. Usually, a vet uses blood tests for diagnosis of canine liver shunt. Dogs with congenital liver shunts will show low levels of blood urea nitrogen (BUN) and albumin, increased blood bile acid concentrations, and increased liver enzymes. The vet also needs additional examinations to confirm diagnosis. For example, he will use scintigraphy (a nuclear scan), ultrasound, portography (a special x-ray with contrast), CAT scan (“CT”), or MRI to further confirm his diagnosis. 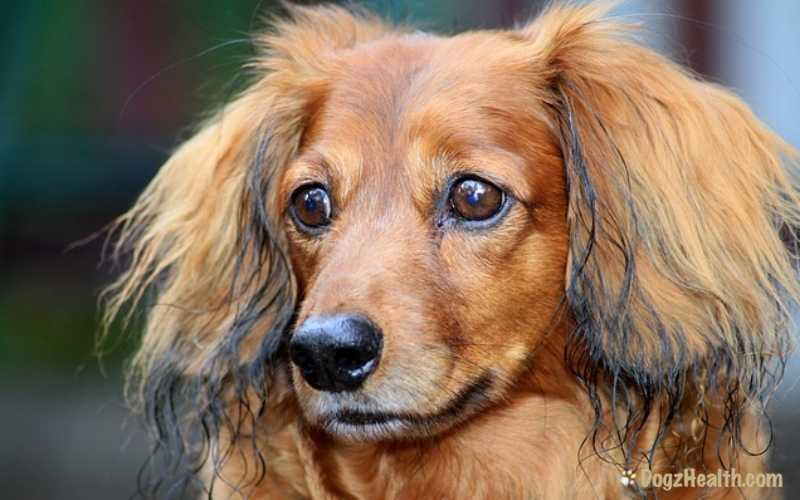 Depending on the type of canine liver shunt, surgery may be able to correct the defect. In addition, the vet may suggest a low-protein diet supplemented with lactulose (for the absorption of intestinal toxins such as ammonia by altering intestinal pH). Sometimes, he may also prescribe medications (antibiotics). Generally speaking, most liver shunts cannot be treated by using a special diet and medications alone. Surgery can correct extrahepatic shunts rather easily. Intrahepatic shunts are much more complicated and surgery should best be performed by a board certified surgeon (ACVS Diplomate). In some cases, since the liver has not developed normally, the shunt can only be partially closed by surgery. But even by partially closing the shunt, it is usually sufficient to relieve the symptoms for the dog patient to live a normal life without medications.